Star Wars: The Last Jedi (film, 2017). A 2017 American space opera film with "PG-13" rating by Walt Disney Studios Motion Pictures. Directed by Rian Johnson. Official Trailer. Star Wars: The Last Jedi is a 2017 American space opera film directed by Rian Johnson. 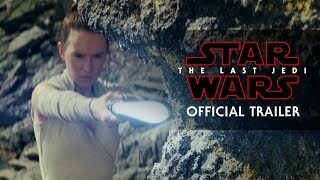 Star Wars: The Last Jedi Trailer (Official). Following the battle of Starkiller Base, General Leia Organa leads Resistance forces to flee D'Qar when a First Order fleet arrives. Poe Dameron leads a costly counterattack that destroys a First Order dreadnought, but after the Resistance escapes to hyperspace, the First Order tracks them and attacks the Resistance convoy. Kylo Ren, Leia's son, hesitates to fire on the lead Resistance ship after sensing his mother's presence, but his wingmen destroy the bridge, killing most of the Resistance leadership and incapacitating Leia, who survives by using the Force. Disapproving of new leader Vice Admiral Holdo's passive strategy, Poe helps Finn, BB-8, and mechanic Rose Tico embark on a secret mission to disable the First Order's tracking device. Meanwhile, Rey arrives on Ahch-To with Chewbacca and R2-D2 aboard the Millennium Falcon to recruit Luke Skywalker to the Resistance. Disillusioned by his failure to train Kylo as a Jedi, and under self-imposed exile from the Force, Luke refuses to help - even after he learns of Han Solo's death at Kylo's hands - and believes the Jedi should go extinct. Unbeknownst to Luke, Rey and Kylo communicate through the Force, puzzling the two enemies. As Rey and Kylo learn about each other, both have visions of themselves as future partners. R2-D2 persuades Luke to train Rey. After Kylo tells Rey what happened between him and Luke that caused him to choose the dark side, Luke confesses that he momentarily contemplated killing Kylo upon sensing that Supreme Leader Snoke was corrupting him, causing Kylo to destroy Luke's new Jedi Order in retaliation. Convinced that Kylo can be redeemed, Rey leaves Ahch-To without Luke. Luke prepares to burn the Ahch-To Jedi temple and library, but hesitates. Yoda's ghost appears and destroys the temple by summoning a bolt of lightning, claiming Rey has all she needs to learn, and encourages Luke to learn from his failure. Principal photography began in March 2016; Kennedy later said filming would begin in January 2016. 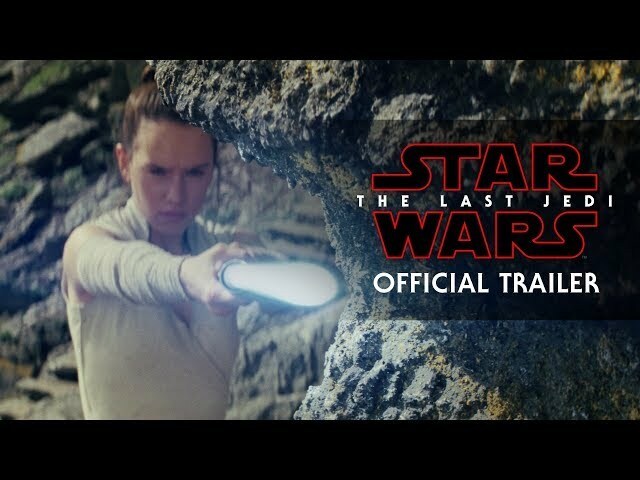 The film Star Wars: The Last Jedi was scheduled to be released by Walt Disney Studios Motion Pictures on December 9, 2017 (Shrine Auditorium, Los Angeles), on December 13, 2017 (Sweden, France), on December 14, 2017 (Germany), on December 15, 2017 (United States) and on January 5, 2018 (People's Republic of China). The duration of the film is 152 minutes. With a budget of $200 - 317 million, the film grossed over $1.333 billion. Star Wars: The Last Jedi got high rating from critics. But the audience dislikes the film. Audiences polled by CinemaScore gave the film an average grade of "A" on a scale ranging from A+ to F.